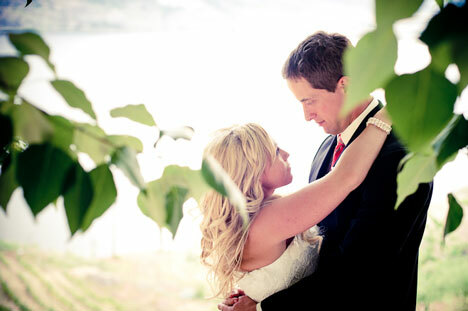 bride.ca | Real Wedding: Chelsea & Steve, Lake View Delight! 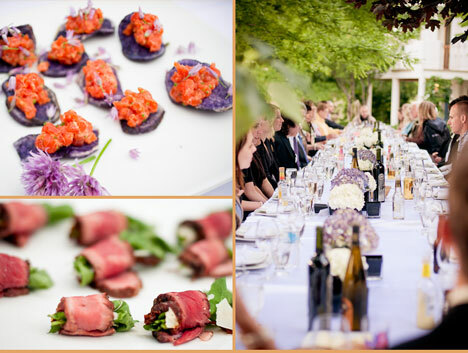 "A warm summer's day, a view like to a Tuscan landscape, a beautiful bride and groom, equals one perfect wedding".. 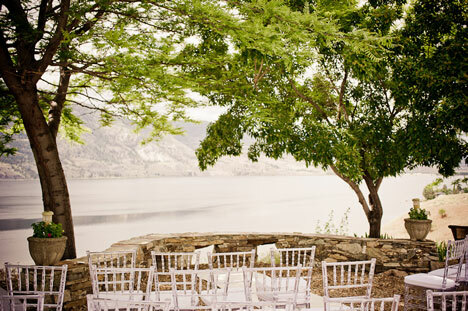 When Calgary natives, Chelsea and Steve planned their wedding in the beautiful Okanagan region of British Columbia, they made sure their surroundings created the focal point for the day. 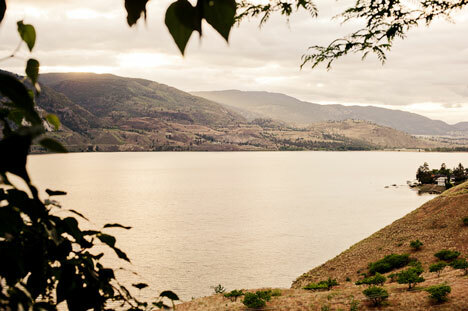 With breathtaking views of Lake Skaha below, the couple took their vows and celebrated with family and friends that had joined them from far and wide for the occasion. 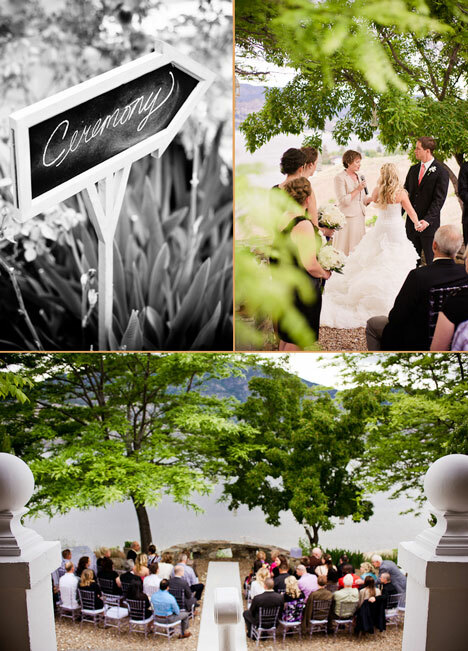 The ceremony was intimate yet grand as the stunning views of the lake created the perfect backdrop for the romantic service. The décor was sheer elegance with floral arrangements in white and muted tones against stark white linen and chivari chairs. White lanterns dispersed among the trees and ledges of the property added to the venue's already gorgeous ambience. 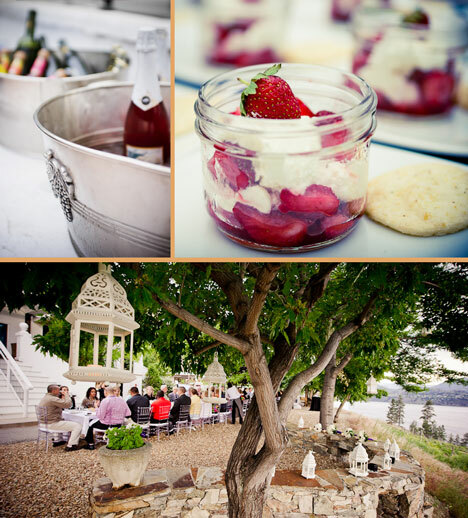 then, a tree lined terrace hosted one very long table where all the guests dined on seasonal delights all while enjoying the lake's incredible views and basking in the warm Okanagan sun! Later, everyone gathered in the night tents to enjoy the post dinner celebrations with more drinks and of course, dancing! The groom and his buddies even entertained the group with a metal band improvisation! 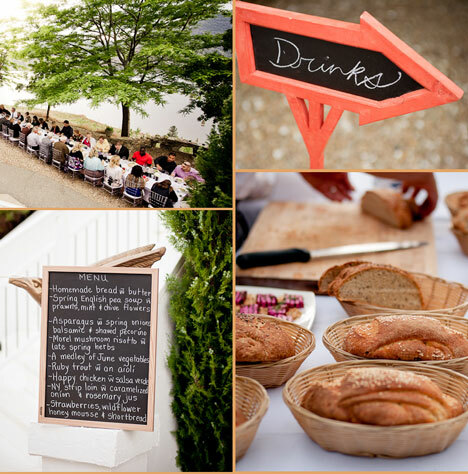 A warm summer's day, a view comparable to a Tuscan landscape, plus a beautiful bride and groom equals one perfect wedding! Congratulations!